We offer a range of equipment covers for general protection of fire extinguishers, hose reels, wheeled units and other essential fire safety equipment. 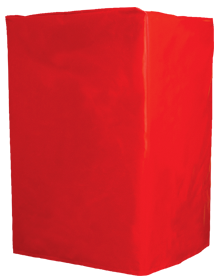 Our fire equipment covers are available in both premium and basic finishes to suit individual budgets and requirement and can be supplied in a range of popular colours. As we manufacturer our covers, we are also able to produce special bespoke covers, customized to your exact requirements, both at competitive prices and fast lead times. 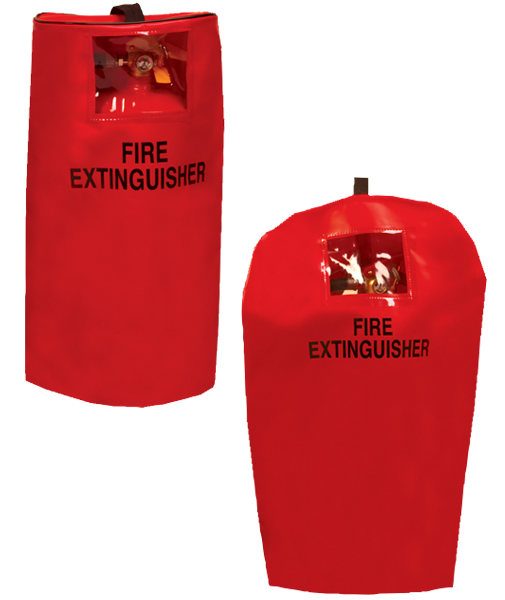 Our equipment covers are perfect for the general protection of fire extinguishers. They are available in both basic and premium finishes to provide a choice of material grades to suit every application and budget. 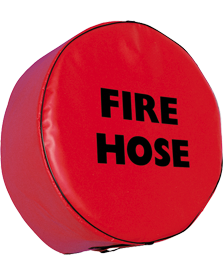 Our universal hose reel covers are designed to fit most 19mm and 25mm fire hose reels. We manufacturer a range of standard covers to fit wheeled units but we also produce special bespoke covers, customized to your exact requirements.